With an alumni card, alumni may access the Northampton Square Library, Cass Learning Resource Centre, The City Law School Library (Gray's Inn Place). This is for reference only. If you would like to borrow any books you will need to complete this online form. Please note there is a charge for this service. Please log in to access the electronic resources. If you do not have log in details, then please register first. After you log in, please go to the Library Services page, where you will find the designated links for each electronic resource. If you are a Cass alumnus, please follow the instructions on the Cass Alumni website. Please note it may take up to 48 hours to process a new sign-up request. You may use the 'walk-in' service, to access specific electronic databases at the Northampton Square Library and the Cass Business School Library. This access is currently only available on one computer at each site. If you have any queries please email e-access@city.ac.uk. Please note that if you would like to access the electronic resources at the Cass Business School Library you need to book the computer in advance by calling +44 (0)207 040 8787. Unfortunately, we are unable to offer access to computers in the library. However, you can access the Wi-Fi connection as a guest, on your own device, by requesting a password from the Library Help Desk. Research produced by City’s academics and research students, including journal articles, conference papers, books and doctoral theses, are available online at openaccess.city.ac.uk. Official university merchandise is available to purchase from the City Student's Union shop. If you experience any issues when making a purchase, including problems with delivery please contact City Student's Union shop. We offer City graduates a Graduate Loyalty Discount of at least 10% on tuition fees when applying for one of over 150 postgraduate courses. Our Graduate Loyalty Discount is an institution-wide initiative that extends across all Schools. If you are applying for a postgraduate research degree you will benefit from a discount of 10% on the full cost of your tuition fees. The City Law School, the School of Arts & Social Sciences, the School of Health Sciences and the School of Mathematics, Computer Science & Engineering offer the Graduate Loyalty Discount in addition to any scholarship students may benefit from. For the Cass Business School, we regret that this scheme cannot be used in conjunction with any other sponsorship, scholarship or bursary scheme or by students financed by their employer. Please note that the discount can only be applied to tuition fees and cannot be used to cover any other course-related expenses (e.g. residential costs, materials or membership fees). Please note the discount does not apply to students who have completed any of our short courses. To apply you will need to be accepted into your intended course of study and to meet all the normal academic admissions criteria for the relevant course at City, University of London. At the point of application you are required to inform the Admissions Office that you are a City graduate. No additional documentation should be required. If you are accepted into the course and successfully enrol, your invoice for fees will then be reduced by the appropriate amount. The School of Arts and Social Sciences will be increasing the 10% Tuition Fee Graduate Loyalty Discount for all undergraduate students graduating in 2019 who achieve a 2:1 or a First Class Honours degree from City, University of London and would like to take up study on a select number of postgraduate courses for which they are eligible. Graduates from 2018 will also be eligible. Graduates with a 2:1 Honours degree will now get a 20% discount on their postgraduate tuition fees while graduates with a First Class Honours degree will get a 30% discount. To see which course you are eligible for please click here. Any student from the School of Arts and Social Sciences who is on course for a 2:1 or First Class Honours degree will also receive an unconditional offer from the School for postgraduate study. Unconditional offers will be sent to all current SASS third year undergraduates who are predicted to achieve a 2.1 or higher. This will be based on a weighted average of their marks to date (following PRD1, year 3). Applicants will have to select from a list of courses they are eligible for according to their discipline and provide a personal statement. The fee reduction will be 10% for those achieving a 2.1 (in addition to the 10% University alumni discount) or 20% for those achieving a 1st class (in addition to the 10% University alumni discount). The programmes included in the Dean’s Alumni Scheme are listed in Appendix A. If you graduated from 2013 onwards you can keep your @city.ac.uk email address for life. If you have forgotten the password for your City email account please contact the IT Helpdesk on 020 7040 8181 or by completing the online form. You will need to select the "Log a call without a City account" option in order to contact IT. CitySport is our sport and fitness centre featuring state-of-the-art gym equipment. 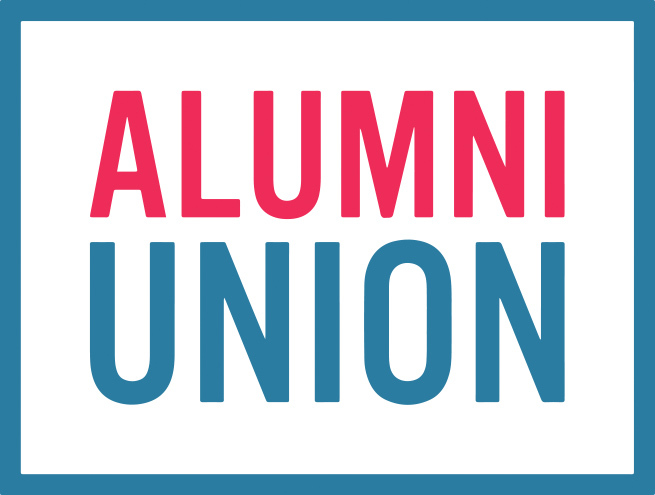 With an alumni card, alumni can benefit from a discounted membership of £32 per month. Olympic-sized courts for a variety of team, solo and class sports. To find out more please visit citysport.org.uk or contact the CitySport Team. As a City alumnus you are entitled to free sight tests and a discount of up to 20% off a complete pair of glasses (frames and lenses) at City Sight. For more information, please visit City Sight. To book your appointment please call 020 7040 8338 or email citysight@city.ac.uk. Please note appointments are only available during term time. AwesomeTrip is an online hotel booking site that offers the lowest rates worldwide. They work closely with 90,000 hotels and some of the world’s largest travel consortiums to negotiate the lowest prices which they then pass on to their customers. AwesomeTrip are offering a further discount of 5-30% for City Alumni.